You may be thinking to yourself that all credit cards are pretty much the same. It doesn’t matter which credit card you use to pay for groceries, they’re all accepted at just about every supermarket chain. Is there really a difference between all those credit cards out there? The answer is very simple: yes. Cash back rewards have become the hottest incentive program in the credit card industry as of late. The advertisements and commercials are everywhere, a myriad of companies and banks enticing you to sign up for their credit card with the promise that you can earn cash back on all of the things that you buy most. It’s effortless. You just swipe the card at checkout and earn rewards upon purchase. The selling point is that you’re going to need to buy these items anyway, why not get a percentage of your spend returned to your account? These cards vary with respect to the amount of incentives you can get for your spend and on what types of items. Some cards offer rewards on everything you buy, while others have specific categories that only earn you points when you buy those types of items. For example, a certain credit card may give you 1% back on anything you purchase but 3% or 4% back when you use your card at the gas station or in a restaurant. One of the most prevalent categories is groceries. There is a range of credit cards available that provide consumers with anywhere from 1% to 6% back when you use that card at the supermarket. Some of the cards have additional rules and regulations — most notably, in the form of spending caps in which you are limited to a certain spend amount that can qualify for rewards each year. Once you reach that cap, you will no longer earn those points or rewards for that year. However, there are also some additional bonuses and incentives that make these cards increasingly attractive to consumers as well. 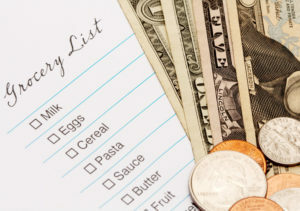 Many cash back cards provide their incentives on revolving categories, which means that the items that qualify for rewards change each month or each annual quarter and groceries are often among them. When the categories switch, you will no longer get earn an incentive for buying groceries if they’re not eligible during the period. Some cards don’t change their categories but offer fewer options for earning rewards. If you’ve signed up for a card that offers 2.5% on groceries and nothing else, then that’s the only type of purchase you’re eligible to receive rewards for when you make your purchase. Contrast that with a card where the categories change on a routine basis where you can earn cash back on groceries one month, then gasoline the next, then it could be restaurants or warehouse stores after that, and so on. Selecting the right cash back card should be based on the things you buy with the most frequency so you can earn the most rewards possible. For those of you who do a majority of your shopping at supermarkets and grocery stores, these five cash back credit cards are the way to go. They each give you the most cash back on groceries and come with some other pretty great perks as well. We’ve done the comparison shopping for you. Now all you need to do now is read ahead and see what we like (and what we don’t) about the top five credit cards for groceries you can sign up for right now. The BankAmericard Cash Rewards credit card has a lot of great upside when it comes to all of the excellent perks that are available in terms of how and when you earn your rewards. Using the card for gas and groceries is where you get the most incentives, but you will also earn additional perks if you are already a current Bank of America customer. You also don’t have to worry about your categories rotating and there’s even an attractive sign-up bonus. Naturally, with the good you have to take some of the bad which include spending limits and a higher APR for missing a payment. The biggest selling point here is how easy it is to earn cash back just by using your BankAmericard Cash Rewards Card. You’re not required to sign up for additional categories or worry about tracking which categories are rotating for a certain time-frame. With this card you’re getting cash back at the gas station, the supermarket, and the bulk shopping warehouse stores, all the time. Once you’ve earned your rewards you can do with them whatever you wish. You can apply them to purchases, your monthly bill, booking travel, or just about anything you prefer. Some cards make you jump through hoops to redeem their rewards which may come in the form of points or miles, but with the BankAmericard Cash Rewards Card none of that applies. Once you earn your cash back it’s yours in the form of cash. Earning your rewards is even easier for Bank of America customers who earn up to 75% more based on the amount of money you have invested or saved through Bank of America accounts. The more you have in the bank, the greater the capacity for an increase in the rewards you can earn through your purchases as part of B of A’s Preferred Rewards program. So how much are we talking about in terms of upfront rewards that you can earn with the card? The percentages aren’t bad, they’re just not great and you’ll certainly find other cards with higher rewards offers on groceries. The BankAmericard Cash Rewards Card will give you just 2% back on your spend at the supermarket. That’s also the same percentage for the warehouse stores. You can earn 3% back when you pay at the gas pump so that’s a little more than when you hit the grocery store. The bigger incentive comes with joining the Preferred Rewards program where your cash back rewards can increase. It’s Bank of America’s way of luring you into opening an account with them. Cash Back Percentage: 3% back at gas stations, 2% back at supermarkets with an annual limit of $2,500 in purchases on both categories. 1% on all other purchases. Cash Back Redemption: The BankAmericard Cash Rewards Card pays out its rewards in cash and Bank of America customers can earn an extra 10% on those earnings by owning an account and transferring their earned cash back into it. Fees: $0 annual fee. 3% balance transfer fee. APR: 0% Introductory APR on all purchases through 12 billing cycles. The same rate on balance transfers, but only if made within the first 60 days of ownership. APR rates rise to a variable of 13.24% to 23.24% based on credit. Sign-Up Bonus: BankAmericard offers $100 in online cash rewards after you spend $500 within the initial 90 days. Those of you who spend a lot of time at the pump and shop your local supermarket with any sort of routine frequency will find a lot to like about the American Express Blue Cash Preferred Card. It offers one of the highest percentages for cash back rewards on groceries among all credit cards and gives you up to 3% on gas and in department stores. There’s also a pretty decent bonus where you can earn $350 just for signing up. As this is an American Express card, you’re going to have to pay an annual fee of $95 for the privilege of keeping this in your wallet each year. When it comes to earning rewards for buying groceries, the Blue Cash Preferred Card has got everyone else beat. That 6% cash back is available at all supermarkets and grocery stores, but it does exclude chains like Wal-Mart and Target as well as the big box sellers like Costco. When American Express says supermarkets they mean Stop and Shop, Kroger, and so on. That 6% does have a limit, however, as you can earn that percentage only up until $6,000 annually. Once you reach that point, your grocery rewards are reduced to 1%. So you’re still getting cash back, but it’s significantly less once their cap has been triggered. When you’re not buying groceries, you can also earn 3% at gas stations and department stores and you get 1% back on anything and everything else you purchase with the card. Unlike with the grocery store, the 3% you’re earning on gas and at the department store checkout are unlimited. There are no spending caps in either category, but you are going to encounter some additional restrictions, most notably the definition of “department store” as per American Express. If you thought you were getting that 3% at Wal-Mart or Target now, think again. They’re both off the list in favor of other retail giants like Macy’s or Kohl’s. As for buying gas and getting that 3% return, you’re good to go at places like Mobil, Shell, and Exxon, but buying gas at Costco won’t earn you cash back. There are other benefits here as well, including a 0% introductory APR for one year and the sign up bonus lets you earn 5% cash back on travel reservations up to $200. Then there’s the $150 you can earn if you spend $1,000 in the first three months of ownership. The annual fee is $95 is steep, but you’re likely to earn enough in cash back each year to make it worth the cost. Cash Back Percentage: 6% at supermarkets with a cap of $6,000 on an annual basis. 3% at gas stations and limited department stores with no caps applied. 1% everywhere else and applied to groceries upon the $6,000 cap being reached. Cash Back Redemption: Rewards are applied as credits that go towards your statement. Fees: $95 annual fee. 3% balance transfer fee. 2.7% foreign transaction fee. APR: 0% Introductory APR on purchases and balance transfers after 12 months then rises to a variable rate of 13.24% to 23.24% based on your credit score and other determinants. Sign-Up Bonus: Spend $1,000 in purchases in the first three months and you can earn $150. 5% cash back up to $200 when you use the card for travel purchases. Additional Benefits: If you’re not satisfied with a purchase, American Express will refund the purchase price of any item up to $300, at a limit of $1,000 annually. The Quicksilver Cash Rewards Card from Capital One is one of the better choices in a credit card when you’re looking for versatility in cash-back eligibility, ease of redemption for your rewards, and no annual fee. You don’t need to worry about limits on how much you can earn, either. Capital One makes using the Quicksilver Cash Rewards Card simple. There are no rotating categories to opt into or programs to sign up for since everything you purchase is eligible for 1.5% cash back. It doesn’t matter what you buy or where, Capital One won’t put any limits on where you can use the card in order to earn your rewards. They also won’t restrict how much you can get back each year. No spending limits means you can earn as much as you wish on all of the things you buy most. Redeeming your rewards is also easy; there are no limits on how much you can redeem at any time. You name the amount and it’s all yours. The Quicksilver Cash Rewards Card also comes with some additional perks that make it worth keeping in your wallet. The sign-up bonus gives you an extra $100 if you spend just $500 within the first three months of ownership. In addition, the fees are low, you won’t have to pay an annual fee, and there are no foreign transaction fees, either. Transferring balances will come with a 3% fee. But best of all, perhaps, the Quicksilver Cash Rewards Card has an introductory 0% APR offer for nine months, applicable to purchases and balance transfers. Cash Back Percentage: Unlimited 1.5% cash back on all purchases. Rewards never expire and there are no restrictions on how much you can earn based on your spending annually. Cash Back Redemption: Redemption of cash rewards can be requested in any amount at any time. Your money can take the form of a bank deposit into your account or distributed via credits or gift cards. Fees: No fees. $0 annual fee. $0 transaction fees. APR: 0% Introductory APR on purchases and balance transfers for nine months then it rises to a 13.24%-23.24% variable rate. Sign-Up Bonus: Quicksilver offers new members $100 after spending $500 on all purchases in the first three months only. Additional Benefits: The Quicksilver card comes with all Visa Signature program benefits. These include complimentary upgrades and privileges at hotels and resorts, complimentary 24 hour concierge service, extended warranty purchase protection, and preferred seating access to all Visa Signature concerts and sporting events. You’ve probably never heard of Huntington Bank, but their rewards card is backed by MasterCard, a brand with which you are likely well familiar. This card comes with some interesting options in terms of how you receive cash back rewards and the flexibility of your APR. The two are connected in a way that you don’t find with other cards on the market and, much like with the BankAmericard on our list, you can earn more rewards if you are a current member of Huntington Bank. Earning rewards involves categories but with a bit of a twist. Huntington offers consumers 13 categories in which they can earn their rewards: Apparel/Soft Goods, Department Stores/Electronics, Discount Stores, Gasoline, Groceries, Home Improvement, Office Supplies, Pharmacies, Restaurants, Sporting Goods, Travel & Entertainment, Utilities, and purchases made at Wal-mart. At first glance, you can see that these categories are a little more unique than the typical options you can find with the bigger banks. If you shop at Wal-Mart most often, it’s a perfect category for you. Perhaps you buy a lot of sporting goods, then that’s the category you want. You’ll notice we’re talking about “category”, not “categories”. As a cardholder you get to pick one of them in which to earn rewards. You also have the option of changing your chosen category four times a year, once by each quarter. There are spending limits as well, where you can earn points on up to $2,000 per quarter. You can also get an additional 10% bonus on all the points you earn each quarter if you have a Huntington 5 or 25 checking account. Huntington Bank also gives you the option of foregoing the rewards altogether in favor of dropping your APR by 3% on all purchases. This may be more helpful to your financial situation as a lower rate on a balance could end up being more beneficial instead of getting cash back. Cash Back Percentage: 3x points on purchases in one of 13 categories, up to $2,000 in each quarter. Cash Back Redemption: Each point is worth one cent and may be redeemed for cash or credit applied toward your monthly statement. Fees: $0 annual fee. $0 foreign transaction fees. APR: 0% Introductory APR on balance transfers ONLY for one year, then it rises to a 13.24%-26.24% variable based on your credit score or you can lower your APR to a rate of 10.24% – 23.24% instead of earning points on purchases. Additional Benefits: No penalty rates or higher APR’s due to a late payment, late fee grace period gives you extra time to pay your monthly bill, and MasterCard Global Service features such as 24 hour lost or stolen card assistance worldwide and emergency card and cash replacement. The Pentagon Federal Credit Union Visa card offers rewards through a points-based system where consumers can earn points for every dollar they spend. Once the cardholder accrues enough points, they may apply them towards purchases on airline travel, gift cards, and various other merchandise. Though points systems can sometimes be a hassle when it comes to redeeming them, PenFed makes it pretty easy to do, particularly since points can be applied as partial payment on some of the options for which points may be used through the program. In terms of earning those points, Pentagon Federal’s Visa is best for gasoline and grocery purchases, with five points earned on every dollar spent and three points for every dollar spent respectively. All other purchases have a one to one ratio for awarding points. Even better, there are no limits to the amount of points you can earn for your rewards. Spend as much as you want at the supermarket or the gas pump each month and you’ll get your points for every dollar. Unfortunately, while there are no limits on how many points you can be awarded, those points do come with an expiration date. The typical duration of validity is five years from the last day of the month in which the points were earned. Five years isn’t too bad as that should give you enough time to plan that getaway you’ve been dreaming of for some time now. All from buying food and supplies you’d be purchasing anyway. Cash Back Percentage: Another card that offers rewards in the form of points earned for every dollar spent. 3 points for every $1 on groceries, 5 points for every $1 on gas, 1 point for every $1 on all other purchases. Cash Back Redemption: Points can be applied towards airline travel, hotels, car rentals, and various other available options. APR: 9.99% Introductory APR on purchases and balance transfers for 16 months then it rises to a 10.24-17.99% variable based on your credit score. Sign-Up Bonus: $100 applied towards your statement after spending $1,500 in the first three months of ownership. Additional Benefits: Earning points is unlimited and there are no blackout dates in applying your points to travel purchases and rental cars. The card comes with multiple purchase and fraud protection features as well as concierge service and emergency roadside assistance that are part of the Visa Signature line of cardholder benefits. Cash back rewards cards can be a fun and lucrative way to spend money. 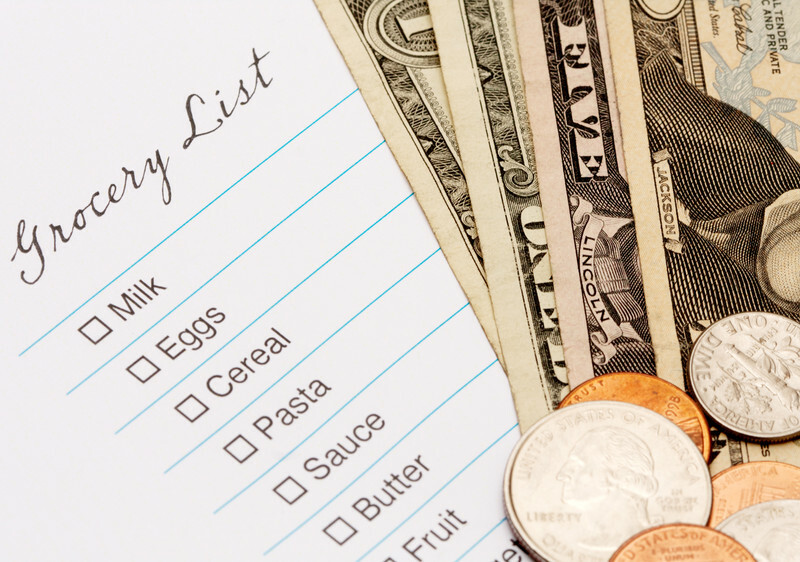 Grocery stores are some of the easiest places to spend enough money to make having a cash back card worth your while. Just be sure not to get careless and always practice fiscal responsibility with any credit card. It might be tempting to overspend when you know you’re getting rewarded for it, but a damaged credit rating should never take precedence in favor of points towards airline travel or other perks.